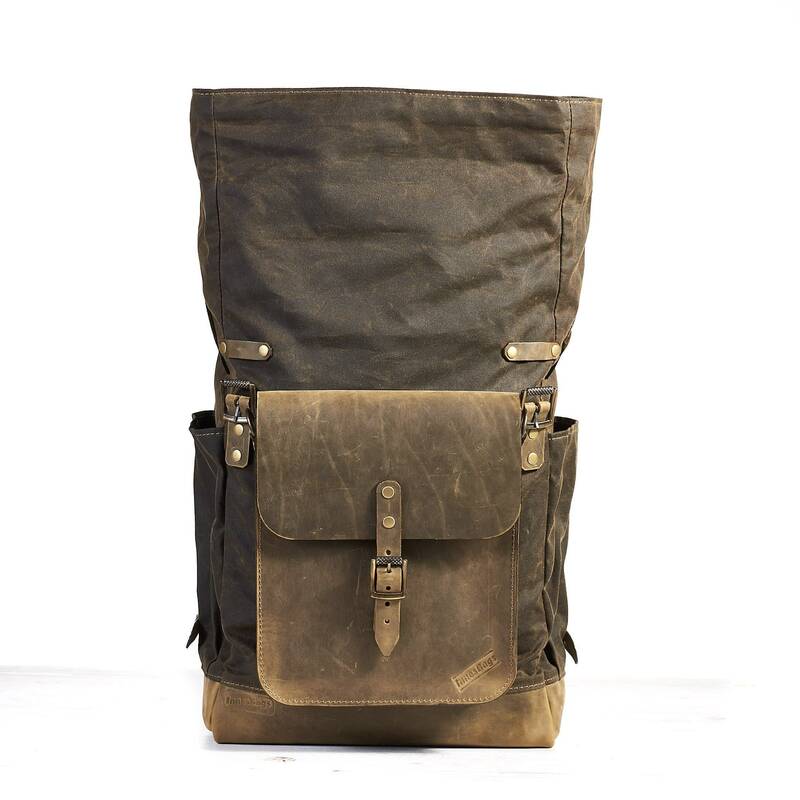 Dark olive waxed canvas leather backpack with molle grid. 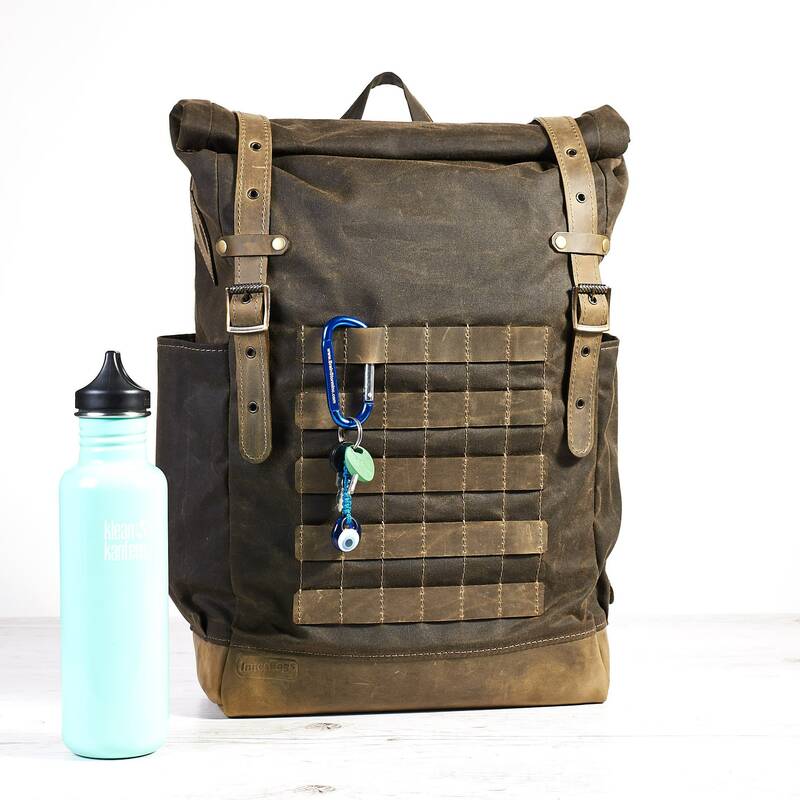 Travel backpack. 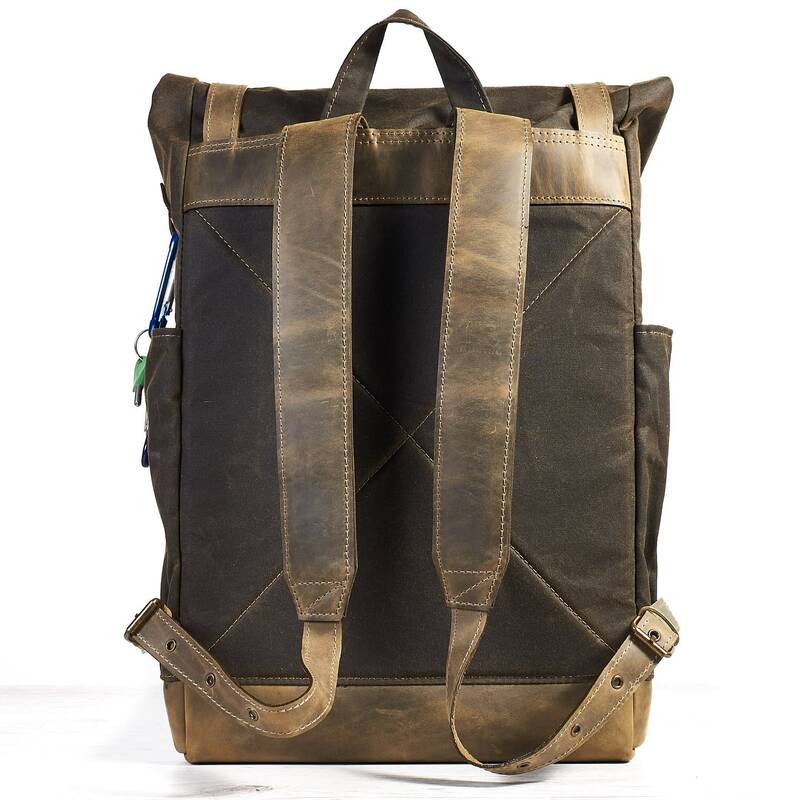 Dark olive waxed canvas and olive leather backpack with PALS grid (often called MOLLE) on the front side. 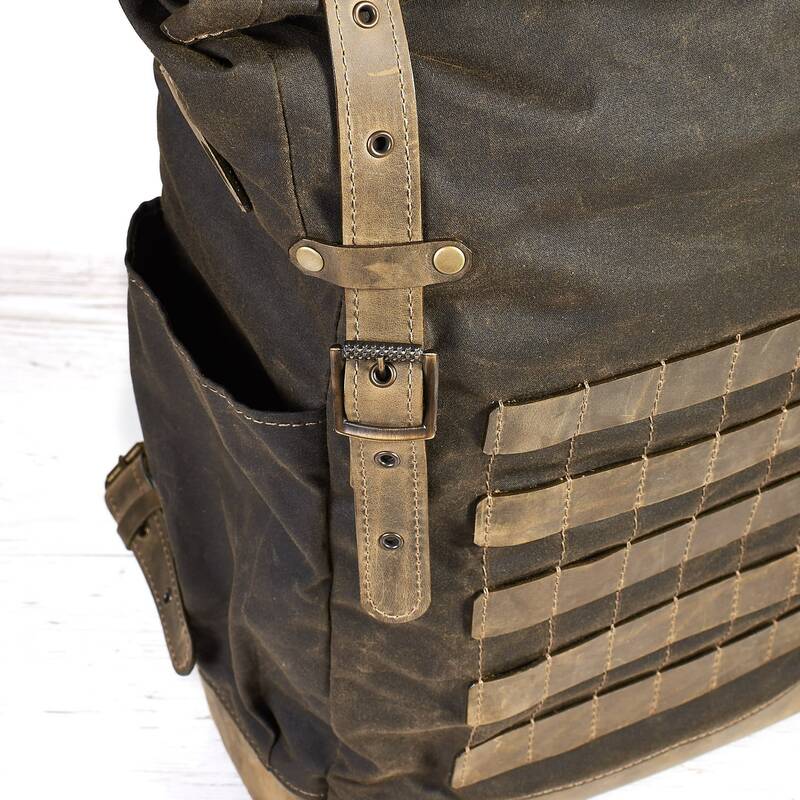 Bag made of 12oz (340 gr/cm) British waxed canvas and Italian " crazy horse" leather (2mm thickness). Roll to close top. Closes with two leather straps on buckles. 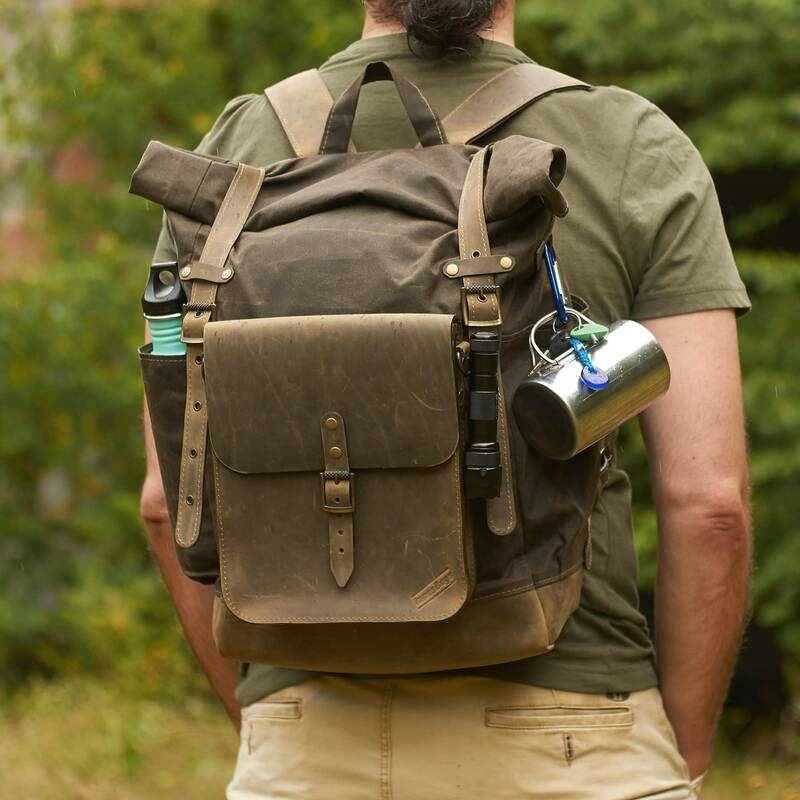 The length of the strap allows you to fasten raincoat or light jacket outside the backpack. 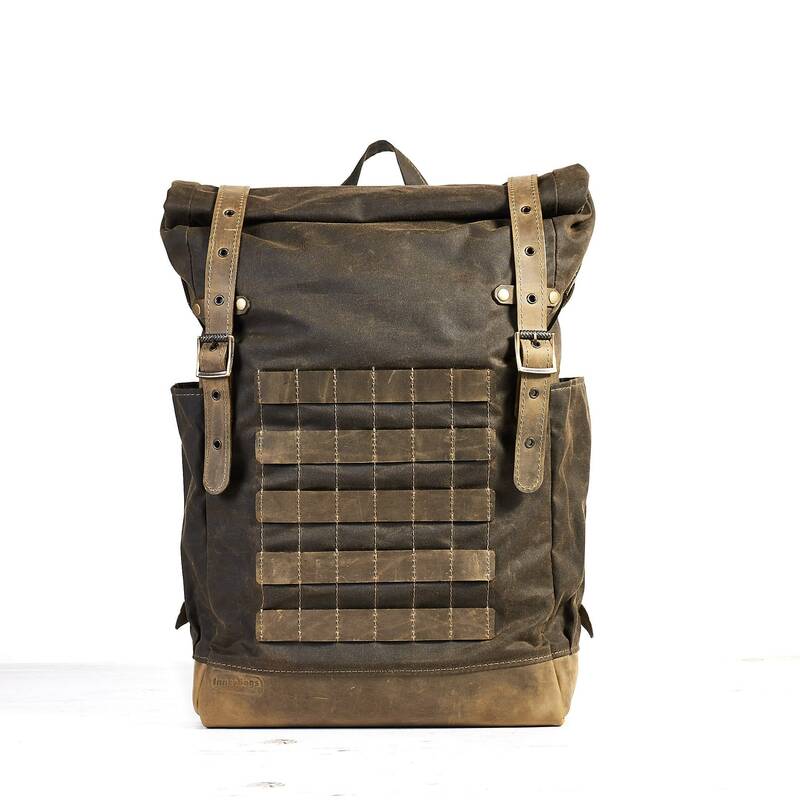 PALS (or MOLLE) grid on backpack's front made of 5 leather straps. 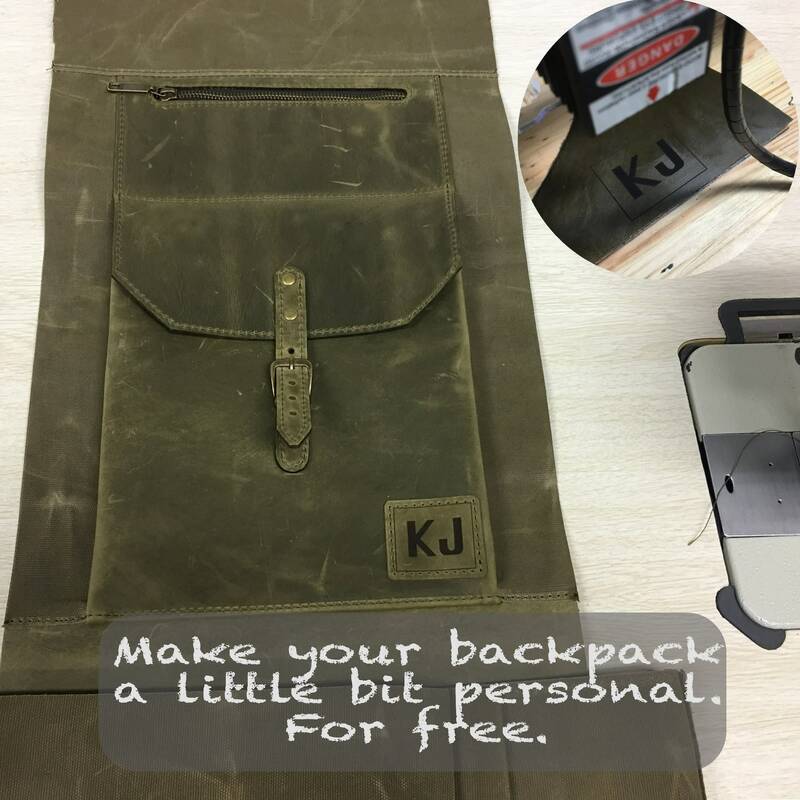 * padded section for laptop or tablet. Designed for modern 15" laptops. MacBook Pro 15", for example. 1. Medium version for 15" laptops. 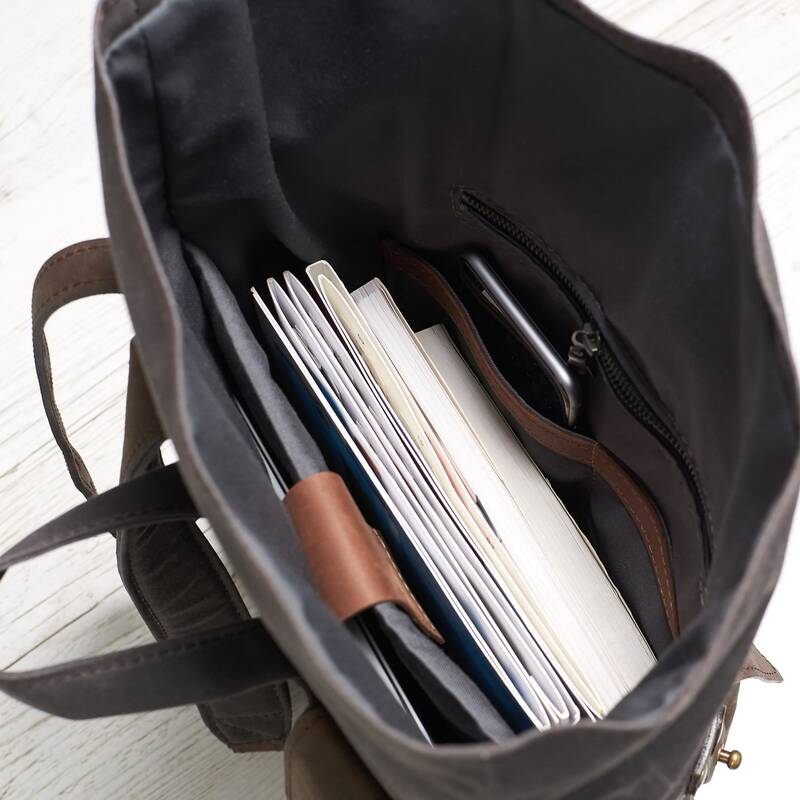 Ideal for work, study and short trips. 2. Large version for travelers or those who need to carry a lot of things. 3. Other variations of size and color combination are possible via a custom order. Just contact us with your suggestion.